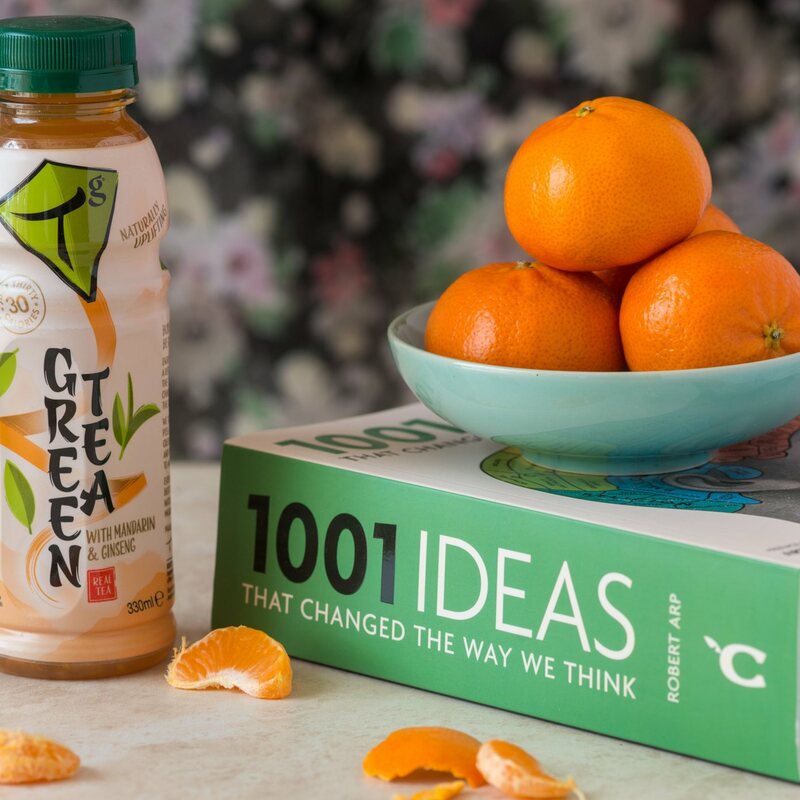 Refreshingly delicious and naturally uplifting green tea drink with mandarin and ginseng extract. Vegan certified. Sugarwise certified. Tg iced tea. Like nothing you’ve tried before. 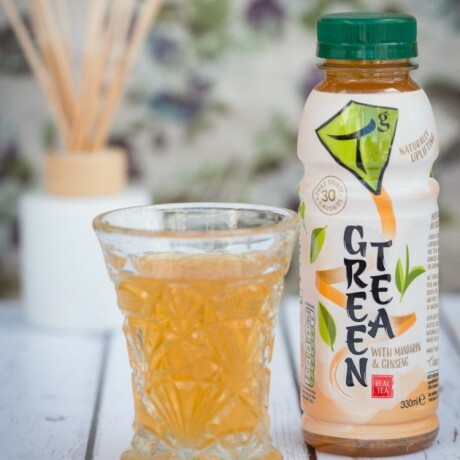 The tea infusion is made with real green tea leaves which give the drink a soft, crisp taste. A sprinkle of ginseng and mandarin peel extract is then blended in to help strengthen your roots and put a spring in your step, according to ancient Chinese wisdom. Water, Green Tea Infusion (4%) (Water, Chinese Green Tea Leaves, Cane Sugar), Mandarin Flavouring, Mandarin Peel Extract (0.08%), Citric Acid, Ginseng extract (0.02%), Stevia. Nutritional information [per 100ml]: Energy 37kJ / 9kcal, Fat 0g (of which saturates 0g), Carbohydrates 2.1g (of which sugars 2g), Protein 0g, Salt 0g. 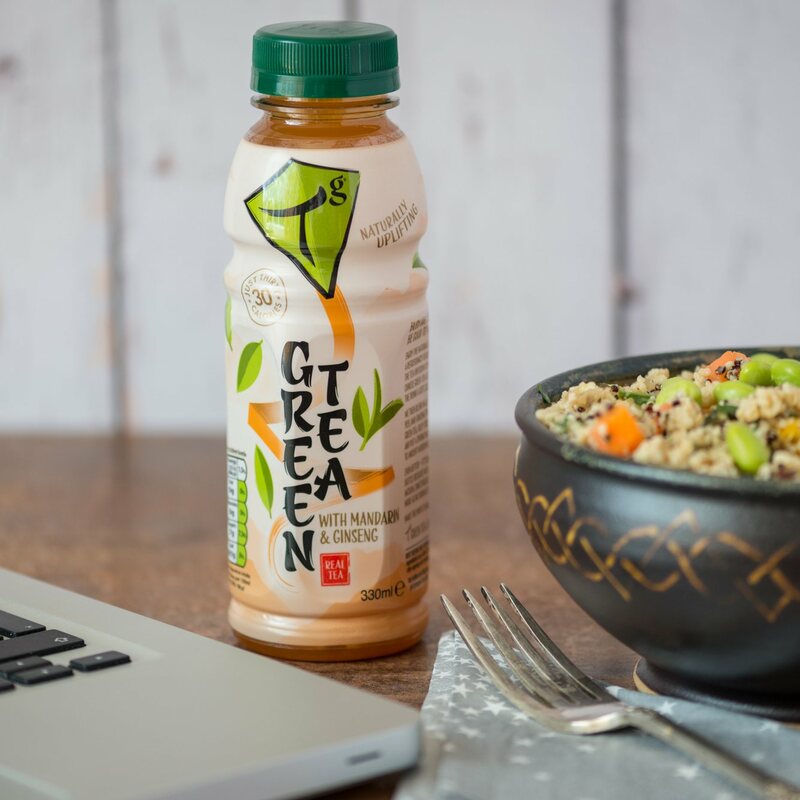 Nutritional information [per 330ml bottle]: Energy 123kJ / 29kcal, Fat 0g (of which saturates 0g), Carbohydrates 6.8g (of which sugars 6.6g), Protein 0g, Salt 0g.